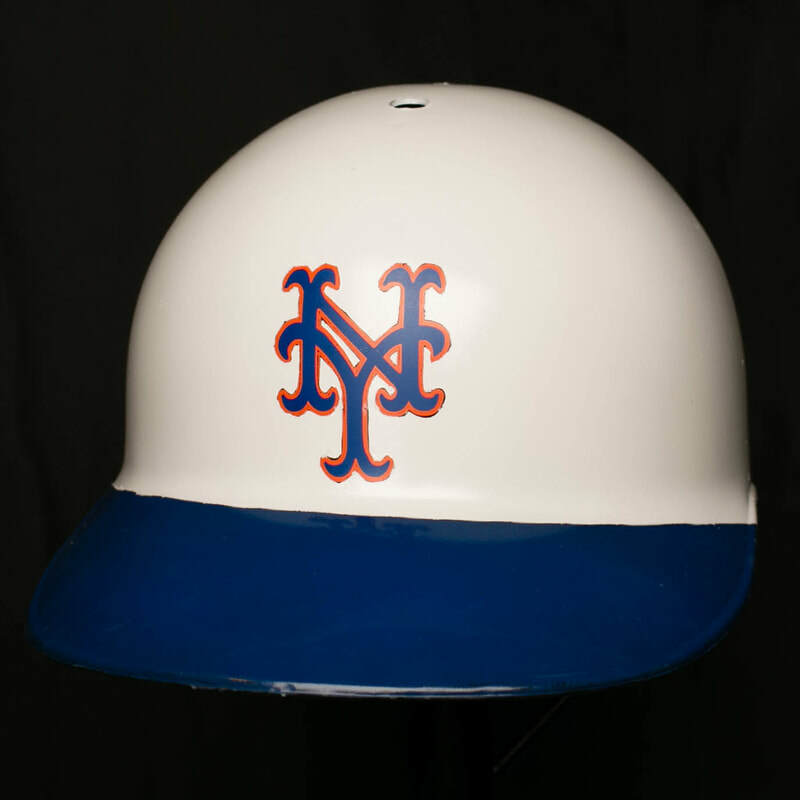 Thoughts: Just an older version of the Mets helmet that lasted for thirty-some years. 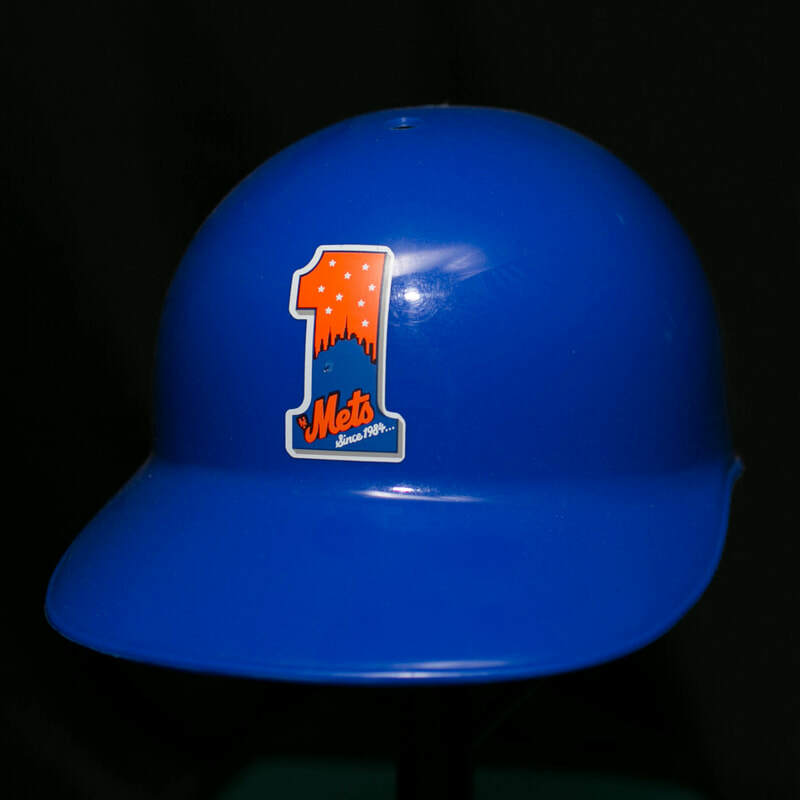 The Miracle Mets of 1969 made some history in this helmet. Thoughts: Just a different inside version than the one above. Thoughts: This helmet was only used by John Olerud when he played the field. I know there is no souvenir helmet out there like this one, so I decided to make it. I used the second helmet beneath this one with the Mike Piazza photo. Thoughts: How about the new kid, David Wright? Thoughts: Even though it pains me to say this . . . how about Mike Piazza? Thoughts: This was a promotional giveaway in 2011. The Coolflo helmets first showed up with the players in 2006. Thoughts: This is the current main logo for the Mets. This helmet was a promotional item given out in 2016.